Why was the venue chosen? The University of Cambridge excels in law subjects and the university library is a copyright library, meaning it receives by law a copy of every book published in Britain. 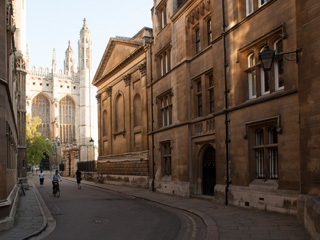 Performance league tables consistently place Cambridge among the world's top-ranking institutions and Cambridge has produced 89 Nobel Prize winners. The Academie voor de Rechtspraktijk (Academy of Law) was founded six years ago and since then has grown into a well-known and recognised academy. It organises courses for Dutch lawyers, both beginners and more experienced professionals. The lawyers need to undertake continuing professional development courses each year to collect the points required to enable continued practice in the profession.